Aurealis #57, edited by Dirk Strasser, features the near future sub-continental grunge of ‘Where Colossi Sleep’ by Daniel Baker, where heavy industry blends with a culture four thousand years old and is transformed by it. Watch out also for C S McMullen’s ‘Monday-child’, a deceptive story that constantly defies your expectations and packs a real punch in the end. Well, here we are. 2013. We've made it past the Mayan apocalypse. Actually, according to Mayan beliefs, although 21 December 2012 was supposed to mark the end of an Age, after that date humanity was supposed to attain a higher stage of development. I'm not sure if too many of us feel more highly developed in 2013, but I do feel this is going to be a big year for Aurealis. Last year we were still finding our feet in the epublication world. This year, we've not only found our feet, we're going to be busy counting the many toes we have in front of us. As you would be aware, we want to achieve 1000 subscribers this year because, based on our calculations, we can then afford to increase our payment rates for short stories to five cents a word. So, why is the five-cents-a-word goal so important? It will mean that we will have satisfied the last criteria for Aurealis to be officially recognised as a professional market by the Science Fiction and Fantasy Writers of America (SFWA). If we can achieve this, we will be the only Australian fiction magazine with this status. I know Cosmos qualifies and it's a great publication, but it's primarily a science magazine, not a fiction magazine. For Aurealis, fiction is our raison d'être. · Is not self-publication, vanity press, or other type of author-paid or fee-charging press, as demonstrated such as (1) by having published at least ten distinct works by different natural persons during the date range; and (2) by authors not having paid or been requested to pay fees or give consideration of any kind. And why is it important to you for Aurealis to be officially recognised as a professional market? If you are a writer or would-be writer of fantasy or science fiction, then it is extremely important. Recognition means that authors published in Aurealis can use these sales towards qualification for Active Membership of the SFWA (the short fiction criterion is to have three short stories published in professional markets). The SFWA's mission is to 'inform, support, promote, defend and advocate for our member writers'. It is an organization strongly recommend to anyone interested in writing fantasy and science fiction. Despite the name, it has many international members, including a number of Australians. What's in it for you? For a start, being able to write 'Active Member SFWA' on your submissions often gets you out of the slush pile. Active members (as opposed to Associate and Affiliate members) are also able to talk with agents, other writers, editors and industry professionals about the business and craft of science fiction and fantasy through private discussion forums. Plus they receive a complimentary copy of the SFWA Member Directory, get insider information in the bi-monthly Bulletin, and vote in the Nebula Awards. Even if you simply love reading fantasy and science fiction without any desire to write it, increasing our payment rates to professional level will mean many writers will send their very best work to Aurealis first, and you'll have even higher quality stories to read each month. In short, everyone benefits. 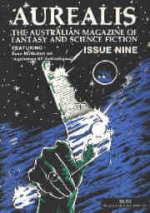 So please, if you have ever thought about subscribing to Aurealis (or once subscribed to the print publication), now is the time to take out an Aurealis subscription. 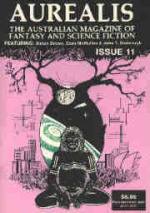 Aurealis 2013 subscriptions are available for $19.99. 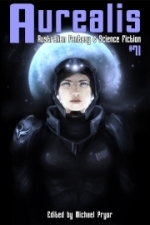 This gives you all ten monthly issues for 2013: Aurealis #57 (Feb) to Aurealis #66 (Nov). That's over 33% discount on the full price. This is it. 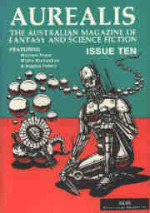 Our big chance to have an Australian SF magazine officially recognised as a professional market. Please join us for 2013. Let's see if we can fulfil the Mayan prophesy of higher development for Aurealis, at least. This issue starts off what's hopefully going to be a big year for us. 'Where Colossi Sleep' by Daniel Baker is near future sub-continental grunge, where heavy industry blends with a culture four thousand years old, and is transformed by it. Watch out for C S McMullen's 'Monday-child', a deceptive story that constantly defies your expectations and packs a real punch in the end. Crisetta Macleod opens the year with an interview with David Dufty, who has chronicled an amazing adventure in robotics. The usual pithy reviews and news round off this issue. Here's to 2013. All the best from the cloud.